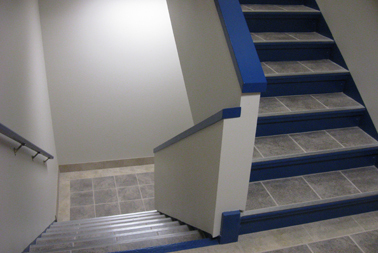 As part of an Indefinite Delivery Indefinite Quantity (IDIQ) contract, MULTATECH provided architectural and mechanical, electrical and plumbing engineering (MEP) services for renovations to the first and second floors of the existing Base Headquarters. 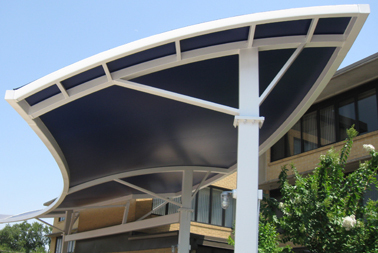 MULTATECH redesigned the main entrance to include a freestanding, semi-circular “tensile” fabric canopy structure and added Xeriscaping leading to the entrance. 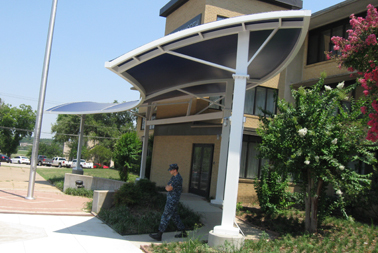 Additionally, the design incorporates the remodel of the quarterdeck and a new terrazzo floor finish to include the Base logo at the entry to the building. 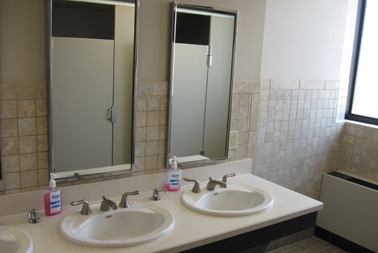 MULTATECH also redesigned and remodeled the men and women’s restrooms and locker rooms, including associated plumbing on the first and second floors, as well as redesigned the storage space and offices to become kitchenettes. 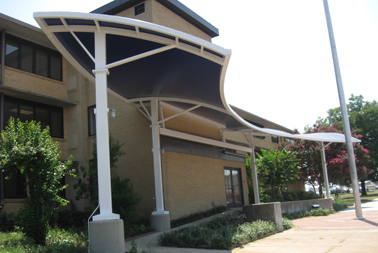 The first and second floor design included a remodel of all hallways and office walls and floors with new finishes; replacement of window blinds; and installation of new ceilings and light fixtures. The scope also encompassed replacing, on all three floors, the windows on the back (south side) of the building with new 1” insulated, ATFP rated windows, and three new split-system units and one new exhaust fan to circulate fresh air into the secure, Video/Tele Conference Room. 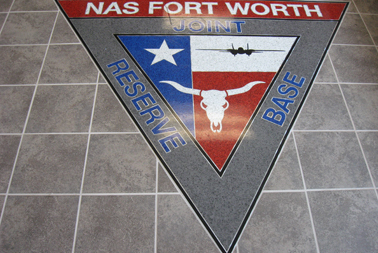 MULTATECH also designed the building’s new ID signage to read “NAS Forth Worth JRB Headquarters."